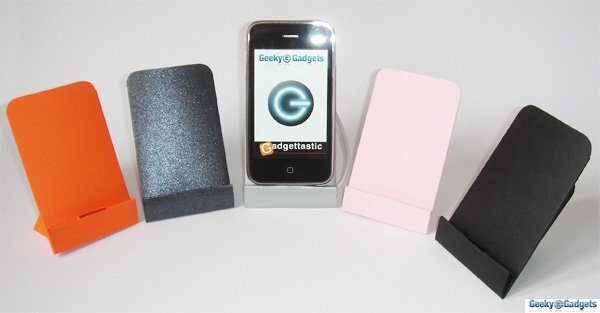 The 3G iPhone doesn’t come with a dock , unlike the 2G version, instead you have to spend an extra $29 on an Apple iPhone 3G Dock. So we decided to make our own iPhone dock, that was easy for anyone to make and can be made from readily available materials. We decided to make our dock out of cardboard, and wanted anyone to be able to print one off on their printer so we kept the size to A4. Initially we weren’t sure if cardboard would be strong enough to use as an iPhone dock, but after playing about with various designs and thickness of cardboard we found out it works really well. 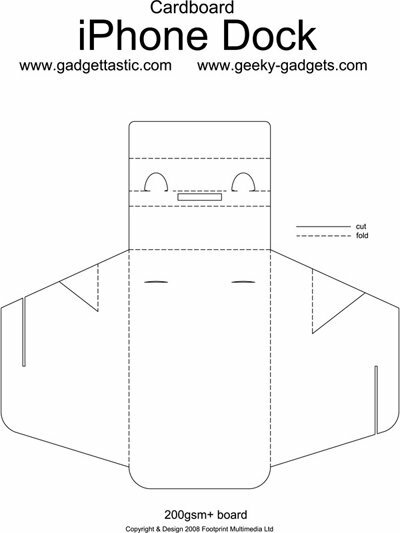 To make your own you will need a sheet of A4 cardboard, some sharp scissors or a craft knife, a printer and your iPhone dock cable that came with your 3G iPhone. We have created a PDF for you to download so that you can make your own cardboard iPhone Dock. We would recommend that you use at least 200gsm cardboard, but the thicker the better, around 270 gsm is the best, and I have been using one made from 270gsm cardboard for about a week and it works great. Here’s a video with full instructions on how to make your own. You can download the PDF, there is a link below for the free download. 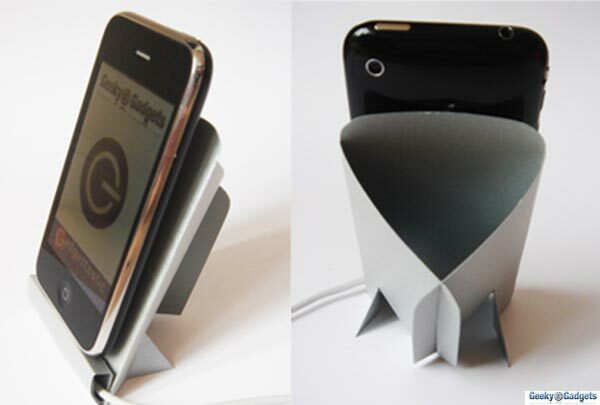 Download – The Cardboard iPhone Dock PDF. To download the PDF, either click the link above and it will open the document in a new window, or right click it and click ‘Save As’. We will have more cool features coming up in the future, including some which we are working on at the moment, so make sure you subscribe to our RSS Feed for updates.